Since I started All Things Jabu, I have had some amazing experiences, met some amazing people and had the time of my life. This past weekend I got to experience another incredible adventure as I headed down to the Investec JAG Invitational for a weekend of golf, fun and awareness for a very serious campaign. The JAG Foundation was founded in 2007 by Gregory James and has since gone on to be one of the forefront charitable organisations in South Africa. Through the initiative Mr James recognised the need for children to be involved in sport and that growing up without sport in our beautiful country was the ultimate disadvantage for any child. The JAG foundation is about giving children alternatives to the plague of negativity that challenge them in South Africa. 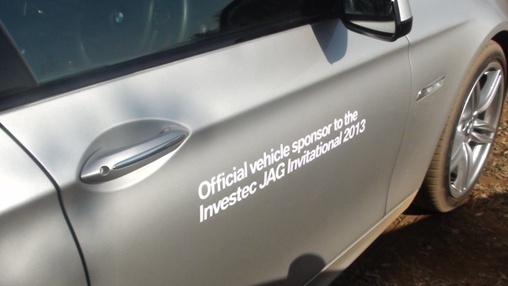 This past weekend was the third Investec JAG Invitational, a weekend of celebrity and golf used in the perfect combination to raise funds for JAG. 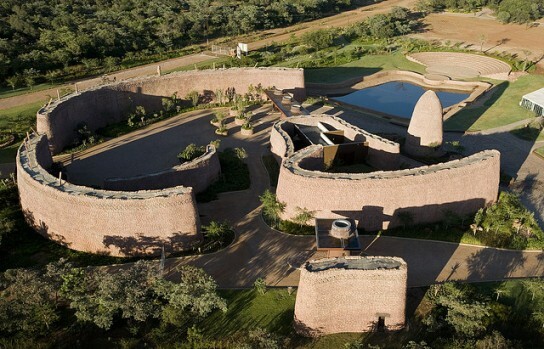 Awesomely it raised an incredible R400 000. So it deserves all the coverage it gets. The weekend started with a fantastic car given to me for the weekend from BMW South Africa. I may not have been in the car market before, but the sheer driving pleasure (See what I did there!) would definitely lead me to reassess my stance. My company for the drive was South African hockey goal keeper Sanani Mangisa and the journey to the Legend Golf & Safari Estate was made all that more exciting by the man in the car next to us, Mr Ard Matthews. After arrival at Legends and receiving our welcome pack, we took to the tribute course, a collection of the best par 3 holes from different courses around the world. 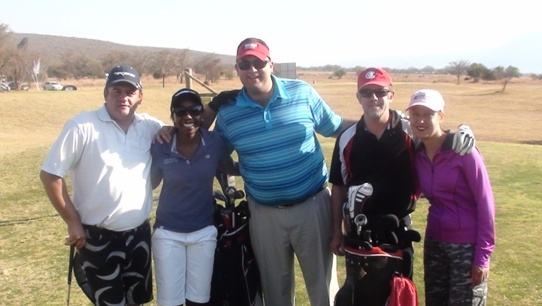 I was joined on my round by Sanani along with friends Marius and Sean. 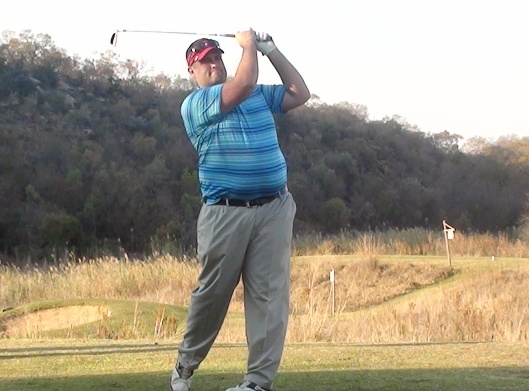 The tribute course curtain raiser is to the Investec JAG Invitational what the Par-3 Challenge is to the Masters. Speaking of the Masters, the two replica Augusta holes left me realising that my dream to win the Green Jacket is closer to extinction than I thought! I was however left in a buoyant mood as the company was great and I finished my tribute course with a birdie (Yale University 9th) and par (TPC Sawgrass -17th). Mark Williams – Two goal hero at AFCON 1996, he even told me this himself. I was paired up for Saturday’s golf and the competition round with defending champion Ben Karpinski, Jean Smyth and Kieran “Calvin” Jacobsen. I wont lie, I was excited at the prospect of helping Ben defend his title, but not really hopeful of it. But through some outstanding golf and leadership from Ben as well as big contributions at various times from the remainder of the team, we posed a score that would ultimately would lead to victory on the day. Of course, in reality none of that really matters, as at the prize-giving it was all about a fun end to a fantastic weekend. 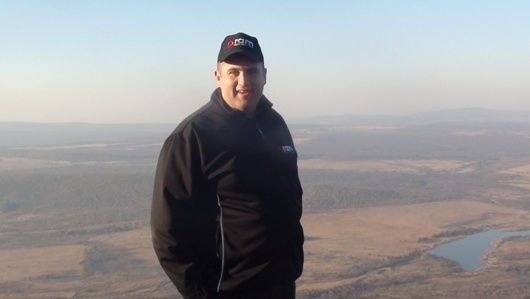 There were auctions that saw Ard Matthews earn a braai for himself and friends from Jan Braai and Dan Nicholl, Pete Goffe-Woods paid R5000 for a R2000 driver and Mark Williams told us about the two goals he scored in 1996. The party to wind down the weekend was brilliant and the entertainment by Me and Mr Brown was even better. However, as good as they were, as good as Ard was, the show was completely stolen when Schalk Burger Senior produced a lyrical moment of magic that no-one will ever forget. The winner on the night, was everyone that played a part in the fantastic weekend. From the sponsors (BMW, Altech Autopage, Investec, BMG and Tsogo Sun) to the organisers (Thomas and Elche), from the celebs to the guests, thank you. AGREE. The weekend was awesome and the company and spirit off all was absolutely amazing. Thanks for your company and that of Sanani Friday on the Tribute course. Congrats on your good golf the Saturday. Well said Marius, couldn’t agree more.